Born in 1975, Penta marked out immediately in the furnishing market for the originality of its proposal: production and sale of basic complements to decorate the house. However, the firm belief that being successful meant offering excellent quality together with an intriguing and recognisable design, pushed the firm to specialise in one of the original branches: lighting. Since then the development of Penta has not stopped, making it part of the limited bunch of leading firms in this field. In the years the collection has evolved as well, maintaining intact all characteristics that make it different and thus exclusive: quality, elegance, functionality and brilliant matching of materials. Fundamental to this goal is the extreme specialisation of the production, the constant exchange of know-how with technicians and designers and the strict quality control. Experience, quality, trust and extreme product control in any step of its creation, allowed Penta to make itself known in the contract field too. In the decades many projects were developed and realised for hotels, restaurants, ships and other public locations. Even if Penta is now a strong and well known brand, the research continues both on the side of production, thanks to designers and technicians always more specialised, that can join image to perfect construction and on the side of service, granting therefore accuracy and punctuality. Umberto Asnago (1949), graduated from the Art Institute of Cantu’s expertise begins with the designer Giorgetti SpA in 1968 for which he subsequently the direction of the Research Centre. 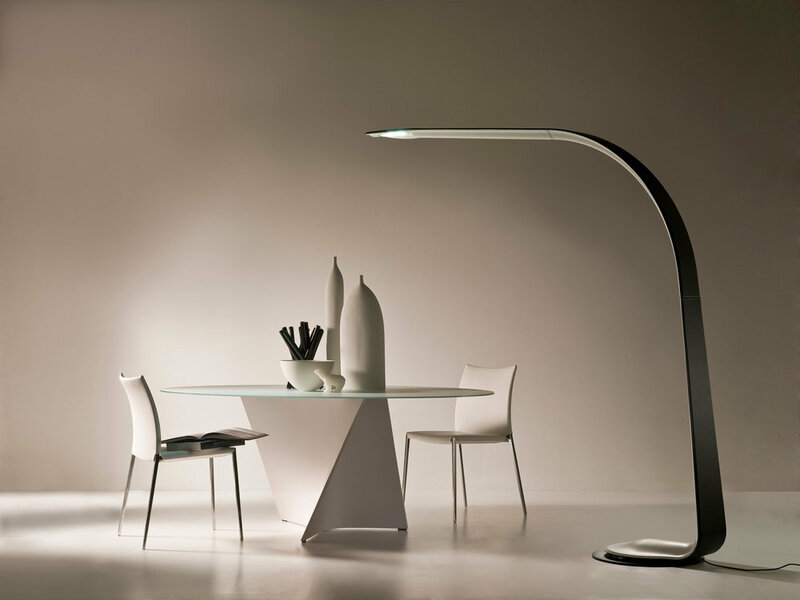 In 2006 Giorgetti leaves to pursue a career as a designer. It is currently art director and designer for lighting Penta. It also made rrangements for stand and showroom for furniture companies and fashion. In 2011 he designed a collection for Giorgetti, coming as designers. These experiences make Umberto Asnago a character suited to deal with the professionalism king evolution that characterize the sector. Born in Carimate in 1968. He graduated in Architecture at the Polytechnic of Milan in 1993. From 1993 he worked as a designer and as a consultant for industries. Since 1995 he takes part in restructuring of social buildings and private homes. Since 1996 he holds lessons about industrial packaging at the faculty of architecture at the Milan Polytechnic, where he was assistant professor of furniture. As a member of Italian has lectured in industrial design in Italy, Israel, Greece, Portugal, Slovenia, Ukraine, Australia, Russia, England, Brazil and China.He projected many important buildings, such as residential villas in Lugano, Como, Venice, in Brianza and outside Milan. Oversaw the decoration of several showrooms, homes, offices, restaurants (in Tokyo). Since 2007 he started working with PENTA drawing different design lamps such as: ANGELINA, BAG, NY in 2009 and 2011 JOINT being able to express the best of his brilliant innovative design shapes and choices.